Abstract: In the Alpine Realm the Early Jurassic is characterized by the disintegration and partial drowning of vast platform areas. 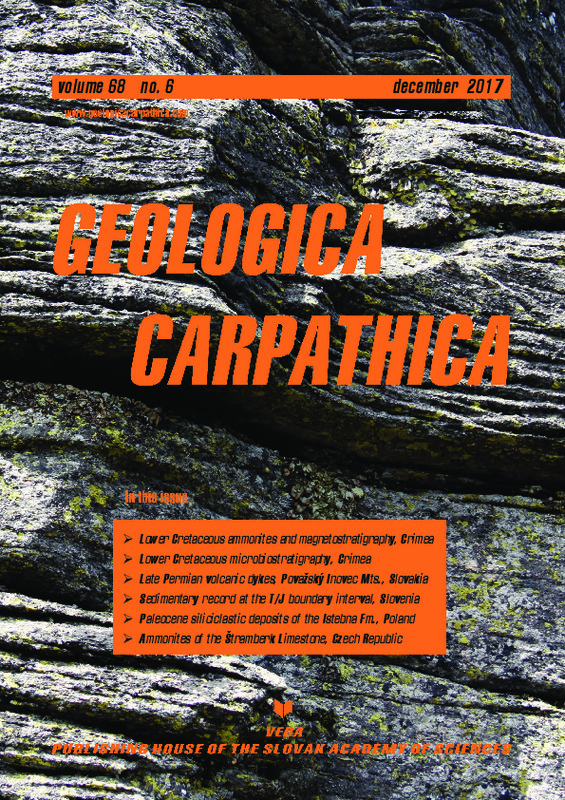 In the eastern part of the Southern Alps (present-day NW Slovenia), the Julian Carbonate Platform and the adjacent, E–W extending Slovenian Basin underwent partial disintegration, drowning and deepening from the Pliensbachian on, whereas only nominal environmental changes developed on the large Dinaric (Friuli, Adriatic) Carbonate Platform to the south (structurally part of the Dinarides). These events, however, were preceded by an earlier — and as yet undocumented extensional event — that took place near the Triassic/Jurassic boundary. This paper provides evidence of an accelerated subsidence from four selected areas within the Slovenian Basin, which show a trend of eastwardly-decreasing deformation. In the westernmost (Mrzli vrh) section — the Upper Triassic platform-margin — massive dolomite is overlain by the earliest Jurassic toe-of-slope carbonate resediments and further, by basin-plain micritic limestone. Further east (Perbla and Liščak sections) the Triassic–Jurassic transition interval is marked by an increase in resedimented carbonates. We relate this to the increasing inclination and segmentation of the slope and adjacent basin floor. The easternmost (Mt. Porezen) area shows a rather monotonous, latest Triassic–Early Jurassic basinal sedimentation. However, changes in the thickness of the Hettangian–Pliensbachian Krikov Formation point to a tilting of tectonic blocks within the basin area. Lateral facies changes at the base of the formation indicate that the tilting occurred at and/or shortly after the Triassic/Jurassic boundary.